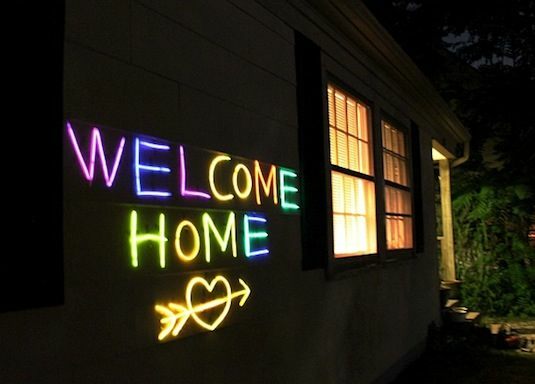 Use the bracelet size glow sticks to create words and phrases for any special occasion. How fun! 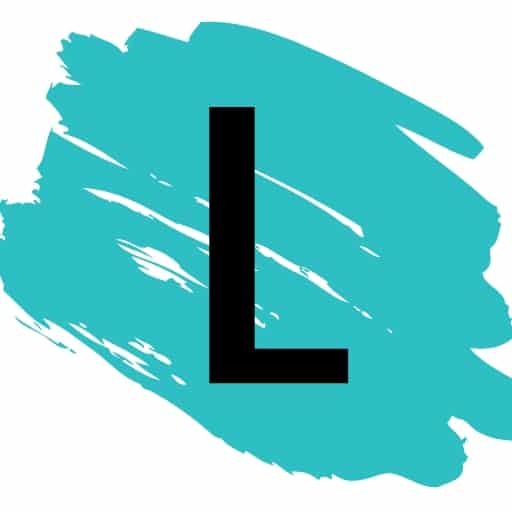 It looks like a real neon light. 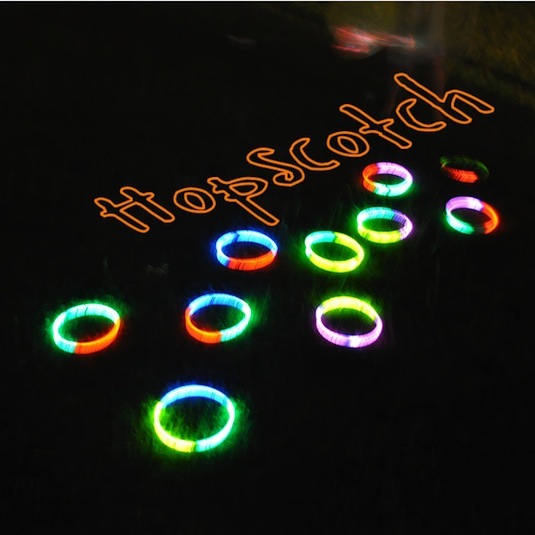 Night time hopscotch using glow sticks! 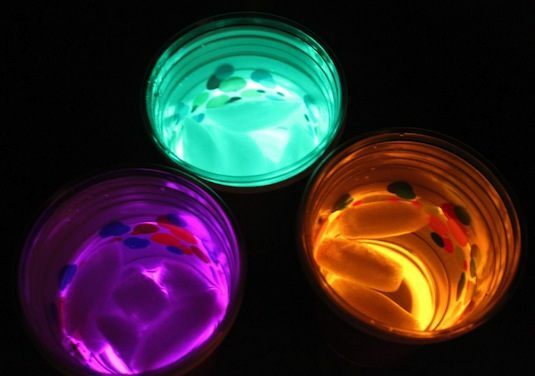 This is probably my favorite glow in the dark party idea. Don’t worry, the glow sticks aren’t actually in the beverage. They are resting at the bottom of one cup, with a clear plastic cup on top where the drink goes. Genius!